Let’s face it: We all get a deluge of email every day. And as marketers, there are lots of ways we try to increase the response rates to the emails we send. The key metric for email marketing is usually clickthrough rate (CTR), not open rate, and for our industry, the average email clickthrough rate is about 2.4% (you can check out benchmarks for marketing and software industries from our friends at MailChimp). Here are two things we did at HubSpot recently that helped us totally crush those industry benchmarks and get an email CTR of 16.4%, which is 583% higher than average. The first thing you need to do is stop spamming people. This may sound obvious, but list quality is the key to high email marketing engagement rates, and downloading names from Data.com or using a “targeted list researcher” to build a list of names is not going to drive engagement. By building a permission-centric, opt-in database of contacts using inbound marketing, you can increase your CTR for the average email you send by quite a lot. The logic behind this is simple: People who want to receive your email are much more likely to love it and click on it than people who have never heard of you. Second, by not emailing the same thing to everyone on your list, you can increase the relevance of each email you send, which also increases engagement. At HubSpot, we went from segmenting our contact database into 3-4 parts and sending about 10-20 different emails per month to sending about 200 different emails per month to much smaller, more segmented lists, including triggered emails sent to segments of 1. So what has this permission-based, extremely segmented email approach done for us in terms of email engagement? Rather than the industry benchmark CTR of 2.4%, if you look at the average of all the emails we’ve sent at HubSpot over the past 9 months (since we moved to HubSpot 3), our CTR is 6.4%, about 166% higher than the benchmark. Not too shabby! 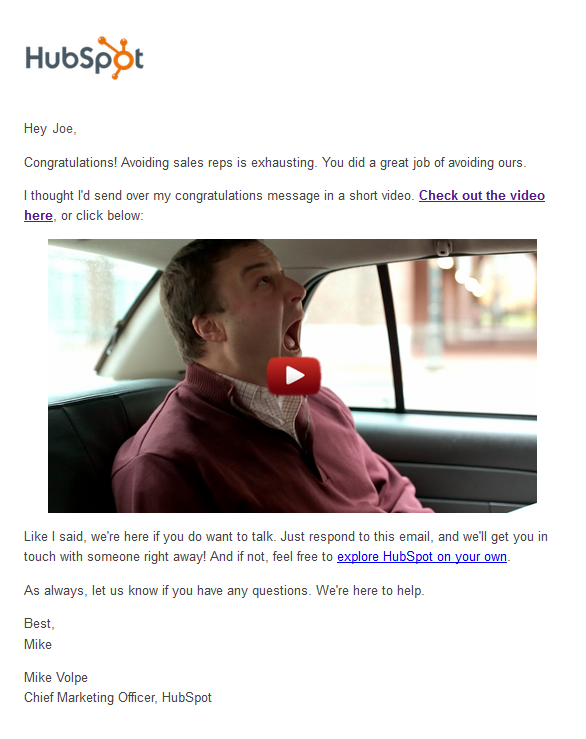 This email has a CTR of 16.4%, which is 583% higher than the 2.4% industry benchmark. And because the email and video are so unique, lovable, and engaging, people actually share it in social media and reply with comments like “Loved it!” and “Hilarious email” and Love your marketing!” So not only are we plugging a leak in our funnel and attracting more revenue, but we’re also building love for our company and our marketing. 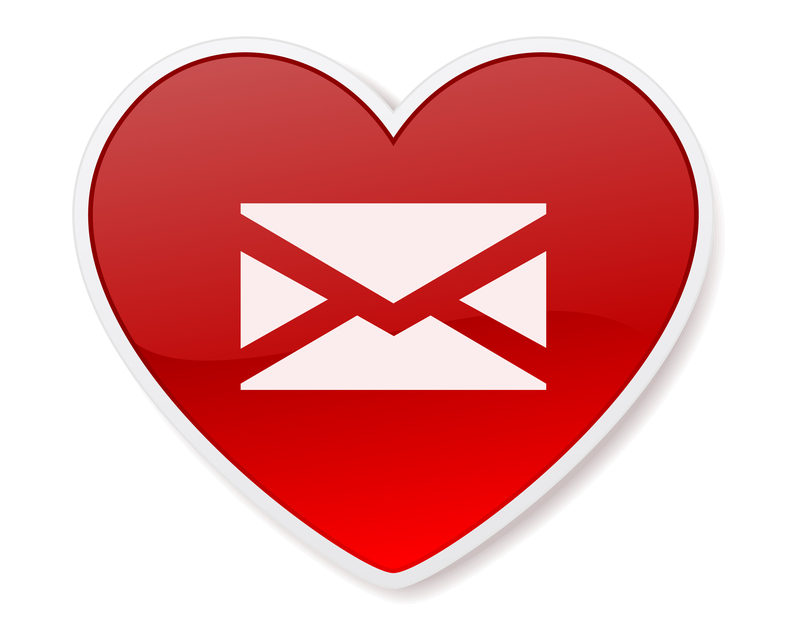 How are you making your marketing lovable? Have you done anything to radically increase your email CTR? Share your stories in the comments.